To comply with the Paris Agreement, the plan will follow science-based criteria that will cap the temperature increase associated with climate change to 1.5 degrees Celsius. Scientists believe that preventing global temperatures from rising more than 1.5 degrees Celsius will avert the worst consequences of climate change. This plan will create ambitious targets to reduce greenhouse gas emissions and establish a pathway to meet the Paris Agreement goal of becoming carbon neutral by 2050. WHY MAKE A CLIMATE ACTION PLAN? As experts in the field who are familiar with the Houston area, HARC will provide the technical expertise and run the models to develop the most effective climate mitigation measures. Funding for the development of the plan has been provided by CenterPoint Energy and the Jacob and Terese Hershey Foundation. Shell is providing support via Harvey recovery and resiliency planning efforts. C40 is a strategic partner aiding in the development of the city’s greenhouse gas inventory and ensuring compliance with the Paris Agreement. Interested in partnering with the City? 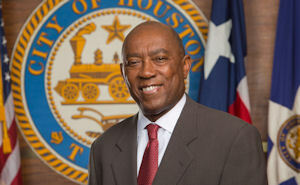 Please email greenhouston@houstontx.gov. We expect the full Climate Action Plan to be released by the end of 2019. WHAT ARE HOUSTON’S SOURCES OF GREENHOUSE GAS EMISSIONS? 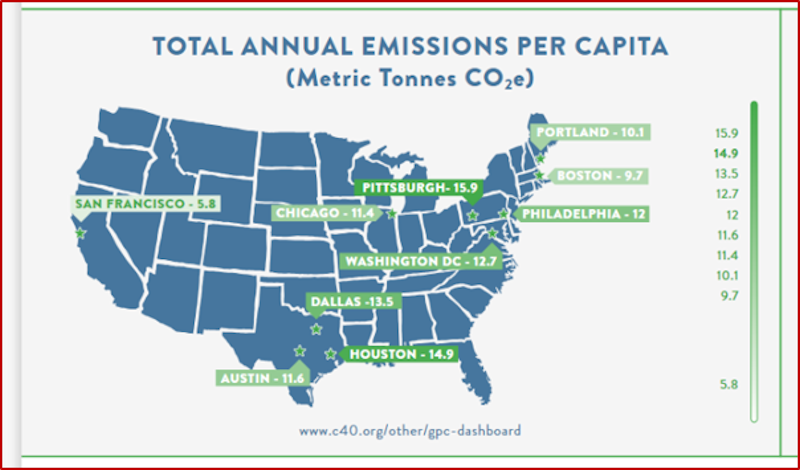 In 2014 Houston emitted 34.3 million metric tonnes of carbon dioxide equivalent (CO2e). 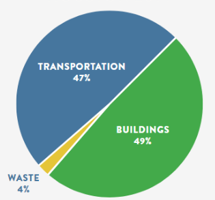 Houston’s biggest sources of greenhouse gas emissions are transportation (47%) and commercial and residential buildings (49%). Other sources of emissions include manufacturing, waste, and fugitive emissions (4%). Overall, Houston’s greenhouse gas emissions have decreased since 2007, primarily due to increases in residential energy efficiency and more renewable energy sources such as wind and solar power being built. However, since 2007 emissions associated with transportation have increased. Houston has one of the highest per capita greenhouse gas emissions in the country, largely due to high emissions from transportation. For more information and to see how Houston compares to other cities, visit: https://www.c40.org/other/gpc-dashboard. Stakeholder and citizen engagement is an important part of this process. Please visit our Events tab for information on stakeholder meetings and outreach events. Stay in the know and subscribe here to receive updates by email.